Last week was Thanksgiving here in the states. The day after Thanksgiving is Black Friday, the most horrible shopping day of the year–a day we usually don’t bother to go thrifting because of the crazy crowds. This year, we tried it anyway and there were definitely good deals to be had. Our local Goodwills were offering 50% off. We went to just one at around noon and the line reached to the back of the store. Value Village / Savers on the other hand, were lovely. They were offering a 30% deal with your membership card, but all the Savers we went to were practically empty. We went thrifting throughout the long weekend and found some great stuff for the shop! 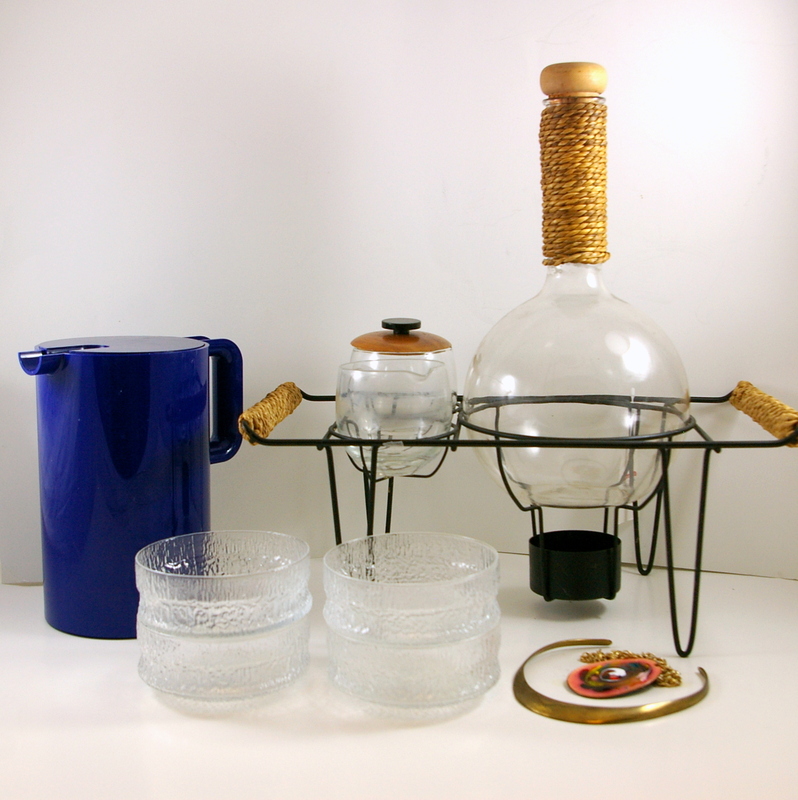 First up is a Ben Seibel coffee set for Tempron Taste Tempters for Gilley with original sea-grass handles, a Heller pitcher, some vintage jewelry, and a set of Padaar bowls from Iittala. We were very surprised by the bowls — they’re a lot lighter in feel than Ultima Thule. 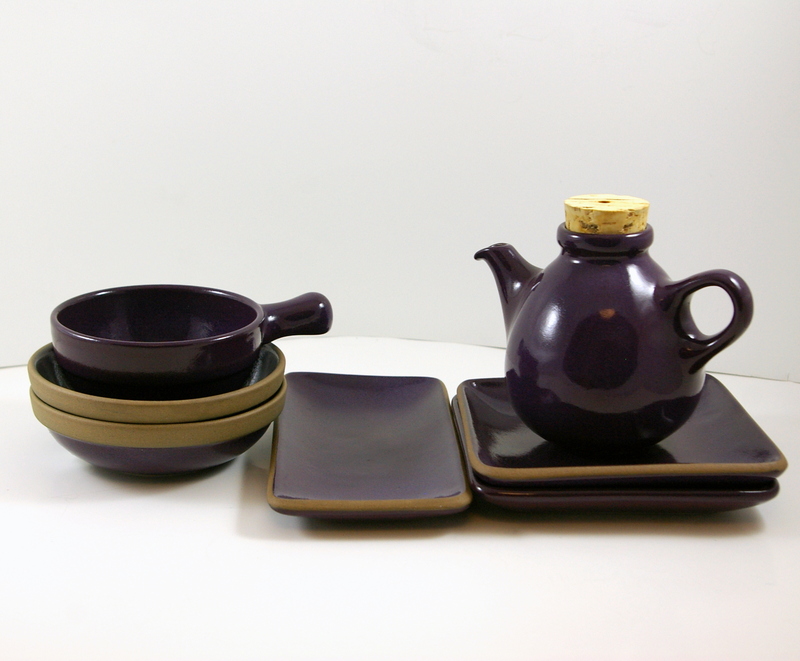 Next up is a small collection of Heath in a shiny, purple glaze. We’re not sure when these were produced, but we’re guessing sometime in the 1990s? Finally, we found a big group of ceramic pieces this weekend. The small vase in the front is a Japanese import, likely from the 1970s. The shino-glazed bowl is a studio piece from Pacific Northwest potter, Jim McBride. 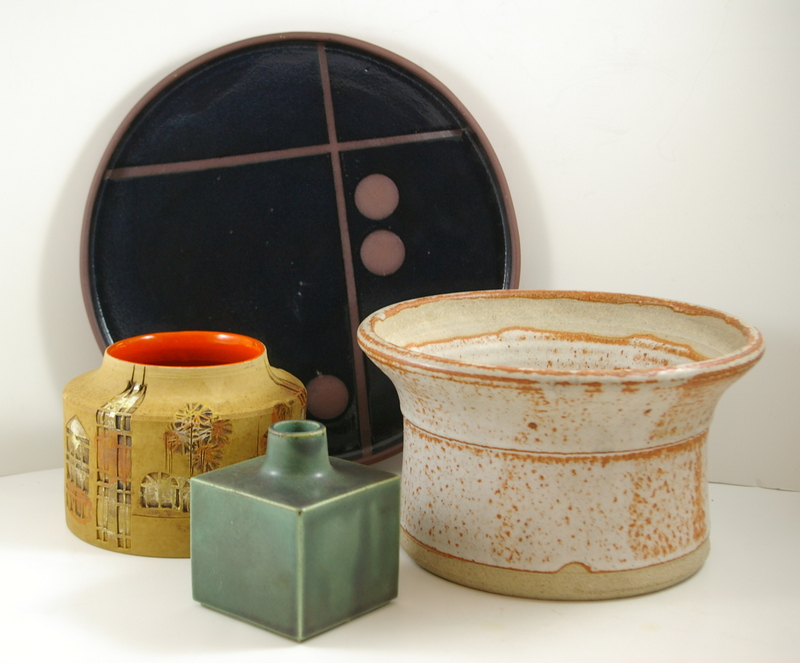 The plate in the back is also by a Seattle area ceramicist, Ben Bieri (thank you, A La Modern for your help with the ID). Finally, the beautiful vase on the left is by Bitossi. Sadly, there’s some damage on the foot of this piece, but we just couldn’t leave it behing — I mean, just look at it! EcoPlus is powered by PlusCaptcha. Follow Bit of Butter on Facebook! Bit of Butter on Flickr! Follow Bit of Butter on Twitter!